On February 6th, the CEO of Twitter, Jack Dorsey, answering the question of what crypto he holds said that he only has bitcoin. It was no secret that Dorsey is a huge bitcoin believer, as he has repeatedly stated it himself. He also took part in the Bitcoin Lightning Network game, that suggested that participants pass each other a very small amount of BTC around the Lightning Network, adding 10 satoshi to each next transaction and therefore the “trust chain” gets longer and longer. Judging by his comments on Twitter, Jack Dorsey did enjoy this experiment, and the whole situation made us think. Can those public figures, who are not necessarily associated with crypto, help with mass adoption? While some of the rich and famous traditionally go on with advertising luxury brands, there are quite a few of those who have set their eyes on the crypto industry. It doesn’t really matter what reasons they have behind this, in general, it is still rather beneficial when people get curious and start talking about and exploring the subjects of cryptocurrency and blockchain. If a popular artist encourages his fans to use bitcoins to purchase his new album, chances are that people will consider looking into it. Or when a talented and admittedly intelligent actor donates millions in crypto for charitable causes during a live TV-show, it definitely attracts everyone’s attention and sets a good example. Little do we know, it might be one of the turning points on the way to mass adoption. But let’s drop some names now. A perfect example of how technology can contribute to making the world a little better. Another famous sports figure had a slightly different experience promoting crypto. Floyd Mayweather, a former professional boxer, was recently fined by the Securities and Exchange Commission. He took part in several ICOs, also encouraging his Twitter followers to invest in those crypto projects. However, the former boxer failed to disclose payments from these ICOs and he had to pay a certain price for that. On top of that, he won’t be able to promote any kinds of assets during the next three years. At the start of 2018, the news about 50 Cent, a well-known rapper, becoming a Bitcoin millionaire made quite a splash. 50 Cent claimed that he made $8 million by accepting Bitcoin payments for one of his albums back in 2014. Allegedly, he managed to get 700 BTC and when the currency price skyrocketed, the overall amount in USD was quite impressive. But things changed when 50 Cent filed for bankruptcy and had to prove it. 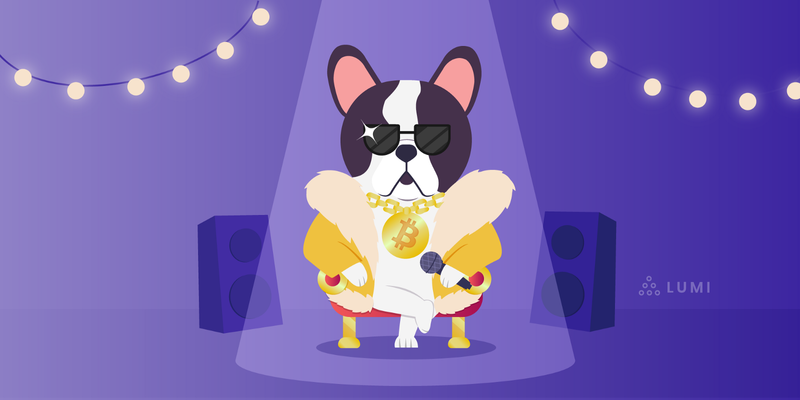 The rapper then suddenly changed his tune and said the he had never owned a single Bitcoin as the crypto payments had been immediately converted into fiat. The rapper is reported to have been noticed at different crypto events, including Ripple’s Blockchain Week NYC party. He seems to be rather involved in the industry, occasionally promoting some crypto projects. Follow Lumi Wallet’s social media accounts on Twitter, Facebook, and Reddit and we will keep you updated on the latest trends and will try to make complicated tech stuff really comprehensive. Or have a chat with us on Telegram, we are always keen on making new friends!